It’s common for children to go through phases of tantrums and timeouts, so it’s important not to jump to the conclusion that your child has Oppositional Defiant Disorder. However, you should also be cognizant of the length of time during which your child has been acting out because if they have been overly defiant for longer than half a year, it is possible that they could have this condition. Oppositional Defiant Disorder (ODD) is a condition in which a child is particularly resistant to authority and acts out for an extended period of time. ODD can be seen during the toddler stage and all the way up through teenage-hood. The child is typically defiant in school, at home, and most in most other environments. If your child is having angry outbursts, disobeying authority, or intentionally harming others, it is possible that they could have this disorder and need to visit a mental health clinic. It is possible that your child also has other mental health issues that are causing them to act out and therefore, if you visit our clinic, our doctors would also test for Attention Deficit Hyperactivity Disorder, Depression, and other common associated conditions. What are the causes of Oppositional Defiant Disorder? Although there is not a specific cause known to cause ODD, it is often associated with other mental illnesses, such as learning, personality, anxiety, and mood disorders. These mental illnesses are thought to both heighten ODD and to heighten due to ODD. If you have a history of mental health issues within your family, it is important to keep an eye out for signs of them in your child. The earlier that you are able to acknowledge your child’s mental illnesses and potential ODD, the easier it will be to minimize and possibly cure your child of these issues. A rule of thumb that many doctors use when diagnosing a child with Oppositional Defiant Disorder is: if the child has been acting out in an extremely defiant manner for over six months, then it is likely that are suffering from ODD. When a child suffers from Oppositional Defiant Disorder, it is challenging for the parents and child. It can cause a lot of tension within the household and outside of the home for other authoritative figures involved in the child’s life. Although it can be frustrating that your child is acting out, it is essential that you continue to support them, as it is possible for ODD to disappear entirely. There are several types of therapy for assisting families affected by ODD, some of which involve only the child, only the parents, or the whole family. If you think that your child has ODD, it is important to see a professional because it is likely tied to other mental health issues that could require weekly therapy and/or medication. Seeing a therapist will alleviate some of the internal struggles that your child is going through and will also relieve tension within your household. Types of therapy offered for Oppositional Defiant Disorder at The Blue Tree Clinic? 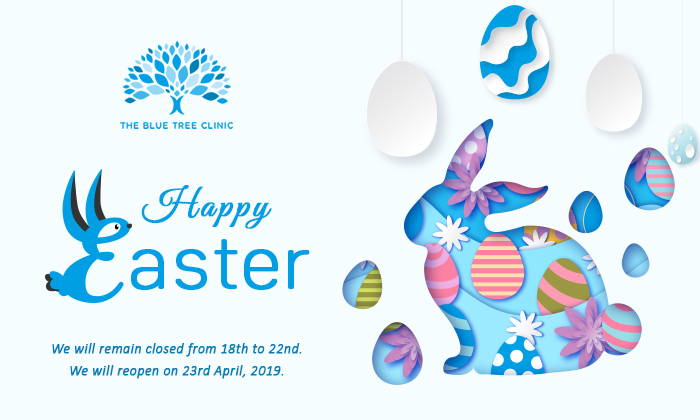 The Blue Tree Clinic offers you a variety of types of therapy, depending on which family members you wish to be involved in the therapy. Being a smaller clinic, we have the ability to provide your family with the undivided attention you need in order to foster a pleasant home environment. Our therapists will provide you with more information about your child’s mental health problems and history, as well as specific ways to support them and eliminate spiteful behaviour. The more you know about ODD, the easier it will be for you to understand why your child is behaving a certain way and to help to normalize their behaviour and emotions.